"A garden to walk in and immensity to dream in - what more could he ask? A few flowers at his feet and above him the stars." "We are stardust, billion year old carbon, we are golden." "We are truly stardust: made from the elemental products of the unimaginable forces and energies unleashed in the cataclysmic death of stars and scattered into the universe. It is perhaps not without reason that we intuitively link the processes of nature with the stars. 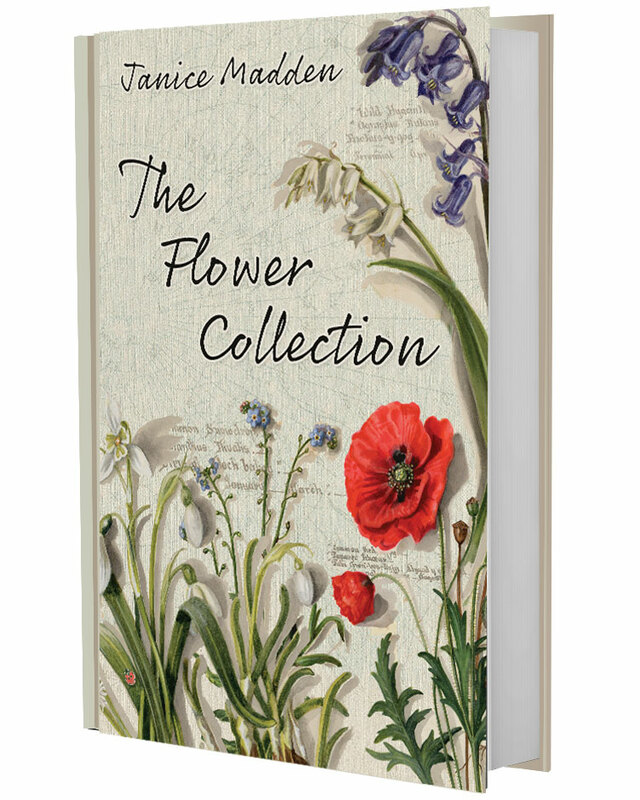 Here Janice Madden uses the accidental discovery of her youthful flower collection to evoke the richness of a world, in fact quite recent but seemingly long-ago, in which humanity and nature had a more harmonious balance. You will discover the essential human dimension of the story told with beauty and imagination. Stardust is the basic component of humanity, the earth, the birds and animals and the flowers and trees. The stories told here weave tales around the beauty and mythology of the flowers and trees and their interaction with the lives and events of the people involved. Unseen, the roots of flowers and trees, beautifully rendered and described by an observant and imaginative storyteller, entwine and mingle, and support the growth of floral environments, both wild and cultured. The cycle of the seasons, determined by the motion of the stars and planets, provides an evolving backdrop within which the human drama is played out. The stories beautifully encapsulate our essential contact with a nature under threat from the march of progress, and encompass our mystical and real link with the stars. As the final chapter links back to the first, we again recall: we are from the stars and to the universe we will return. We should learn from the ancient respect of nature and the earth and recover the spiritual insight which comes with it." - Professor Roy Chantrell, BSc, PhD (University of Wales). I have finished reading 'The flower collection'...How beautifully written and such a setting...our disappearing floral heritage so fragile but still has strength to endure if we chose to care...diversity of lives & experiences of love that adds meaning to their very existence...parallels with nature...A raising of awareness that it is a delicate balance a lack of love & care will allow these precious flowers to disappear ...as will our own lives become empty left only with fading memories of what was if we do not chose to care. Your latest Book, arrived a couple of days ago. A good eye catching cover to support the title. I have had a quick skim through it and read the preface and a few of the shorter stories, the others all in due course. In fact I found the preface to be a story in itself and a good one at that. The Red Carpet reminds me in a general sort of way of the Summing Up by Somerset Maugham. I wish you every success with this latest book which readers of your previous works will no doubt be able to relate to quite easily.